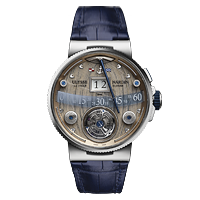 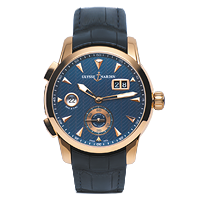 Founded in 1846 in Le Locle, Switzerland, Ulysse Nardin is a fine luxury Swiss watchmaker with a history that is steeped in maritime tradition and known for crafting highly accurate mechanical timepieces. 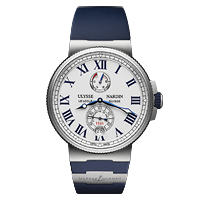 The Ulysse Nardin brand quickly gained international traction and a reputation for great accuracy after supplying marine chronometers to over fifty navies around the world throughout the mid 1800’s. 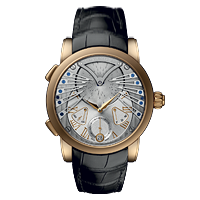 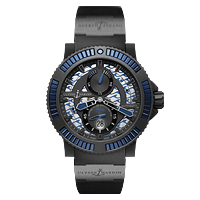 Shortly before the turn of the millennium, Ulysse Nardin released a trio of incredibly complex timepieces known as the Trilogy of Time. 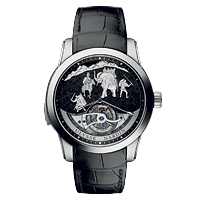 This collection included the Astrolabium, the Planetarium Copernicus, and the Tellurium Johannes Kepler. 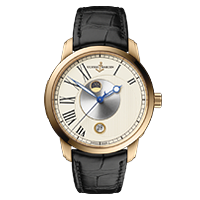 In 1989, the Astrolabium was entered in the Guinness Book of World Records as the most complicated wrist watch ever made. 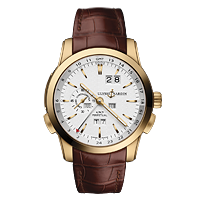 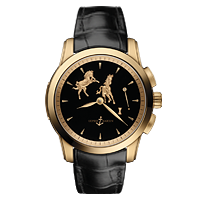 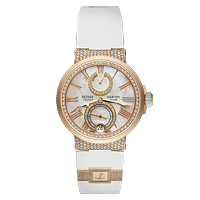 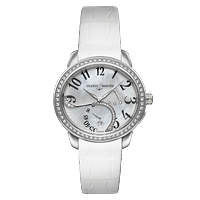 Included in its 21 complications are a positional indicator of the sun, moon, and stars as seen from the Earth at any given time, as well as moonphase, solar and lunar eclipses, and a perpetual calendar. 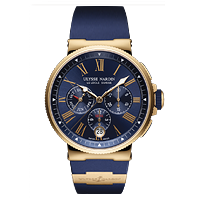 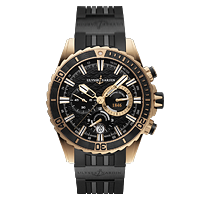 Today, Ulysse Nardin is known for their seamless blend of traditional mechanical watchmaking with modern technology and manufacturing methods with a focus on complications such as minute repeaters, tourbillons, and perpetual calendars.